Industry-leading employee recognition and rewards platform aimed at increasing engagement at work and improving employee retention announces seed round of $1.5 million from FirstMark Capital and Bloomberg Beta. 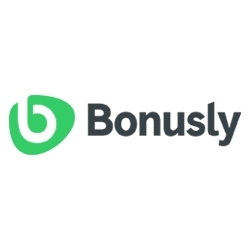 Boulder, CO, April 05, 2019 --(PR.com)-- Bonusly, a leading employee recognition and rewards platform, has raised $1.5 million in funding from FirstMark Capital and Bloomberg Beta in its most recent round. The company is focused on scaling its technology to help organizations build collaborative, inclusive, and productive team cultures that are centered around employee connections. “HR and People Ops is undergoing a dramatic change, and Bonusly has been fortunate to help drive that change and empower forward-thinking companies to build stronger teams. Bonusly enriches the employee experience by democratizing HR practices that have traditionally been top-down. We’re excited to continue growing our team and helping our customers build sustainable, inclusive, and successful work cultures,” said Raphael Crawford-Marks, co-founder and CEO of Bonusly. Frequent and timely recognition is a crucial component of successful company cultures. Many of the world’s leading organizations stress the importance of openly acknowledging their team’s contributions and showing public appreciation for team members. Bersin & Associates found that a recognition-rich culture can reduce turnover by 31 percent. Founded in 2013, Bonusly’s platform leverages the benefits of public 360-degree recognition, an impressive rewards catalog, and people analytics tools like its new organization graph. In 2014 and 2015, Bonusly secured funding from both Bloomberg Beta and FirstMark Capital. “We love backing companies that are building new markets with innovative approaches, and Bonusly is a great example of that. Bonusly’s real-time, human-inspired view into team performance and company culture has proven results in engaging employees and retaining top talent. Our latest investment will help Bonusly scale and continue developing an industry-leading product for companies around the world,” said Amish Jani, a founder and Managing Director of FirstMark Capital. For any inquiries, please email marketing@bonus.ly.